The municipality of BINZ includes the hamlets of BINZ, Jagdschloss Granitz and Prora. 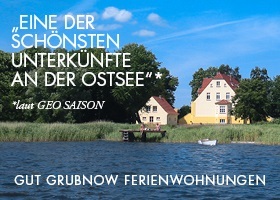 The Ostseebad BINZ is the largest seaside resort on Rügen, the municipality is AMT-free. In the North, the spit connects “Small Heath” the Muttland with the Jasmund peninsula. In the South-East the hilly forest area of Granitz bordered by BINZ. The climate is in BINZ is, as well as many other places of the island, large climate, called East Coast climate. The so-called mild stimulating climate is wonderful medicine. Especially for asthmatics are iodine, Salt and aerosols real panacea. Here is a deep breath and relax can be said to. Optimal relaxation effects are achieved with good dose of all stimuli. 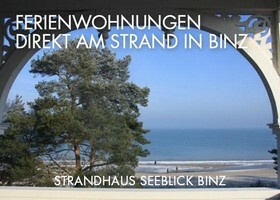 For information around the, what you so can do in BINZ, provides the House of guest. This is located in the small railway station and is a special visitor centre. There's not only the typical tourist information. You will find here also banquet facilities and even a wedding room, Weddings are held in the. The tourist office is also located in these premises. So that children will not get bored here, While their parents get information about your holiday in BINZ and book tickets, There is even a children's game room. Tourists find here also a letter-box for the holiday post. 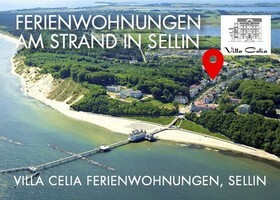 There is information in the House of the guests about hiking possibilities around BINZ. Because today many tourists in addition to the modern bathing facilities in the Baltic Sea resort of BINZ use also the numerous hiking trails in the region. The well-developed and signposted trails holidaymakers will not only move towards the Jagdschloss Granitz, but also in the neighbouring seaside resorts. November to January	09:00 – 16:00 Watch Mon-Fri.	10:00 – 16:00 Pm Sat-Sun. February to October	09:00 – 18:00 Watch Mon-Fri. 10:00 – 18:00 Pm Sat-Sun.